Members of the Library staff came rapidly to recognise her sprightly, bright-eyed figure making its way to the Cole Library for a quiet and productive morning’s work. She had a cheerful greeting for all her friends, acquaintances and colleagues and many came to admire the astonishing vigour with which she laboured day after day to bring the catalogue to completion. Inscription from Eales to Cole in the Cole Library. Eminent zoologist Professor F. J. Cole (1872-1959) was the foundation Professor of Zoology at the University of Reading from 1907 to 1939. Cole was a lover of books. He started building up his collections from an early age, amassing a comprehensive and impressive library of between eight and nine thousand volumes of printed books alongside scientific papers. The collection includes very rare works by Hooke, Estienne and Topsell, for example. Cole actively used his collection in his research. His major historical work ‘A history of comparative anatomy’ (1944) was based substantially on his own collection of texts on comparative anatomy and the history of early medicine and zoology, from earliest times to the present day. Cole was also a ‘passionate and creative collector’ of animal specimens, with his collection forming the Cole Museum of Zoology. Dr Nellie B. Eales (1889-1989) was a Senior Lecturer in Zoology at Reading and Cole’s colleague. Upon his death, Eales arranged for Cole’s library to be transferred to the University of Reading (Rigby, p. 601). Eales painstakingly created a two volume catalogue of the collection, based on Cole’s card index (retained at Special Collections). While we know quite a lot about Cole, what do we know about Dr Nellie B. Eales? She was a well-respected zoologist. It seems evident she had a significant impact on Cole’s work and his collecting practices. I am currently working on a project to catalogue a selection of printed works from Cole’s library. 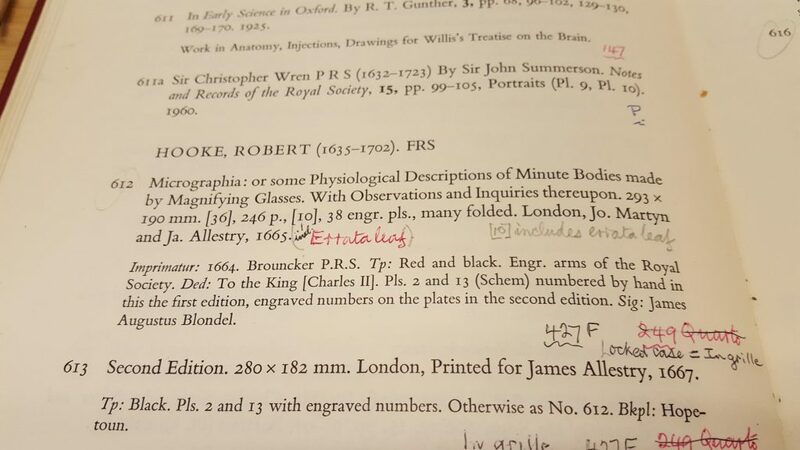 Eales’ catalogue is an invaluable source of information and finding aid. I wanted to find out more about her. 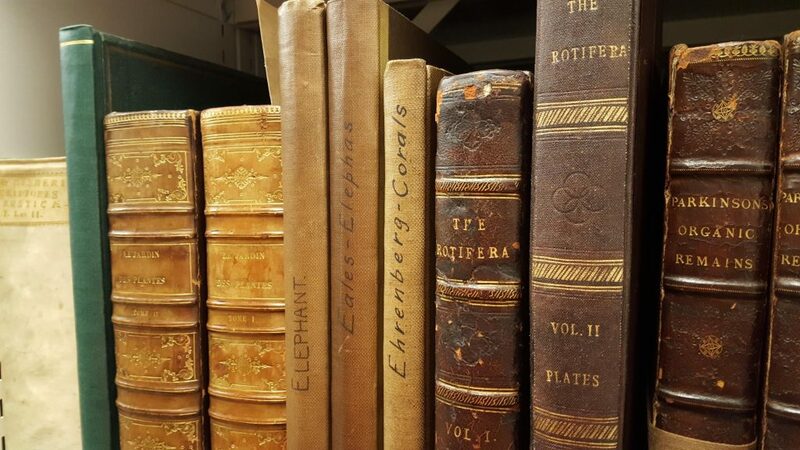 Some of Eales’ work on elephants in the Cole Library collection. Dr Nellie B. Eales (1889-1989) studied at Reading for her BSc which she gained in 1910. Reading gained its University charter in 1926, so at this time it was known as University College, Reading and its degrees were awarded by the University of London. She went on to a become Curator in the Department of Zoology in 1912, helping to keep the department going while her male colleagues were called up to fight in WWI. In 1919, Eales was appointed as a Lecturer in the Zoology department and later became a Senior Lecturer. In 1921 a report to the governors of University College, Reading states “the lecturer, Miss N. B. Eales, has been awarded the Research degree of Ph.D. of London University” (p. 31). A fellow of the Zoological Society of London, Eales researched and published on cheese mites initially, then on marine biology and African elephants. Due to the strength and significance of her research, she was awarded a Doctorate of Science in 1926. Inscription to Eales from author. When the University was newly chartered in the late 1920s, it was not unusual for major faculties to be run by one Professor with a Lecturer for support. This was the case with Cole and Eales (supported by a Museum Assistant, W. E. Stoneman), as discussed by Holt in The University of Reading: the first fifty years (p. 16). It is clear that Eales was at the centre of the department during its formative years. It follows that she was so dedicated to the department, and the University, for the rest of her life. Eales worked closely alongside Professor Cole, as a “student, colleague and friend”, as described in a report on the early history of the Zoology department in the University Archives. From her earliest days at Reading, Eales took an active interest in Cole’s collections of books and specimens. She helped to shape Cole’s collections during his lifetime and after his death in 1939. All reports of Eales’ time at Reading indicate she took great pleasure in playing an active role in University life and in her field of research. Eales was a member of the University Senate 1928-42, only the second woman to sit on this board of governance (Holt, p. 275). She was involved in the Old Students’ Association at Reading, taught on Marine Biological Association courses at Plymouth, was President of the Malacological Society of London (1948-51) and editor the Journal of Molluscan Studies (1956-1969). The Journal published an obituary of Eales, written by Joyce E. Rigby, where much of this biographical detail is taken from, in 1990. In the case of zoology… the formidable figure of Cole still overshadowed the Department from retirement… Dr Nellie B. Eales acted as a kind of guardian angel over all Cole’s work. 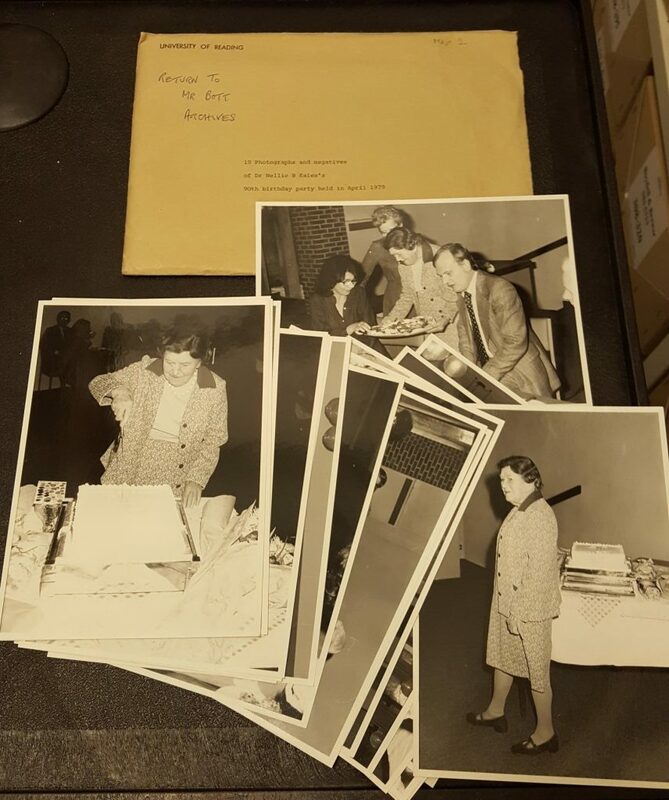 Though she retired as Senior Lecturer in Zoology at Reading in 1954, this was far from the end of Eales’ passion for her research and her dedication to the University’s collections. The University of Reading Library had acquired Cole’s vast library collection of many thousands of books upon his death in 1959. From 1964 the collection was housed in a special room on the top floor of the Library. Cole had created a card index for the collection. In order to make it easier for researchers to access the collection and discover what was in it, Eales agreed to produce a chronologically arranged printed catalogue of the extended Cole collection. Extract from The Cole Library of Early Medicine and Zoology : catalogue of books, monographs and principal papers… / by Nellie B. Eales. The Cole Library of early medicine and zoology catalogue was published in two parts, in 1969 and 1975 (when Eales was 76). Packed with valuable information about each title, such as about illustrations, provenance and binding, Eales’ catalogue is indispensable to any user of the Cole Library. The catalogues are an incredible piece of research in their own right and have been enormously helpful as I catalogue a selection of titles from the Library collection. Velvet binding of Book of Hours donated by Eales. In the early 1980s, over 25 years since Eales had retired, she was to offer Reading an item which still stands as one of our most valued treasures. The surprising and delightful item in question was a Book of Hours produced in Paris in the early 1400s. 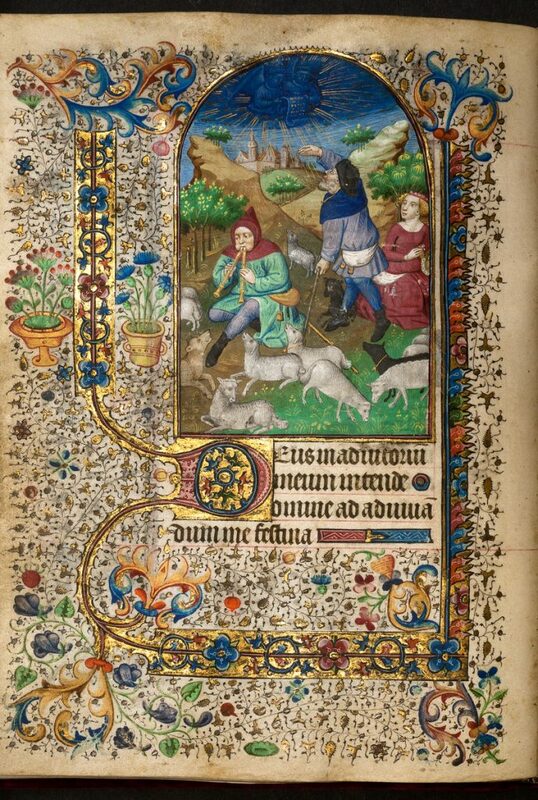 A Book of Hours is essentially a personalised prayer book of Christian devotion which was popular in the Middle Ages. The gift is described by J. 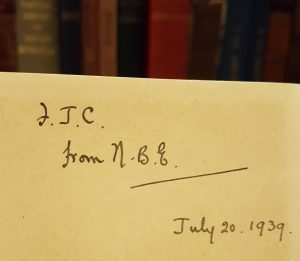 A. Edwards (former Archivist at Reading) in A gift and its donor: some account of MS 2087, presented to the Library by Dr Nellie B. Eales, formerly Senior Lecturer in Zoology in the University (1984). 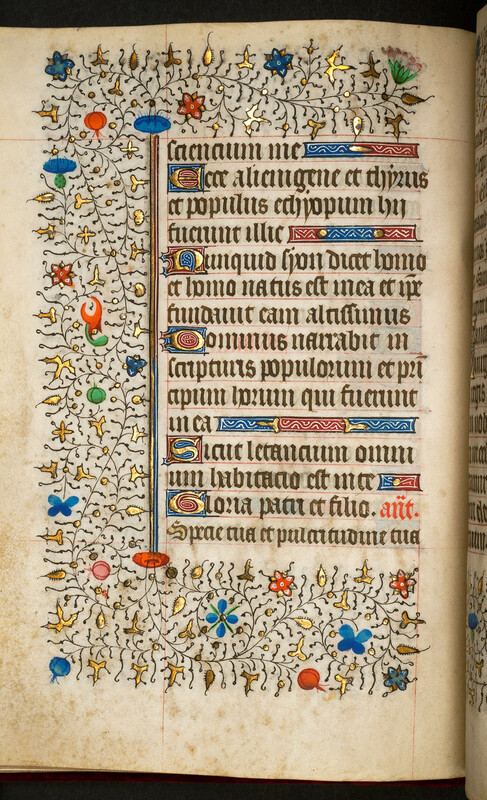 The stunning Book of Hours donated by Eales consists of 185 leaves of intricately written script, elaborately decorated in blue, red and gold, with borders in an ivy-leaf design, also including other flowers such as columbines, wild strawberries and bluebells. The book itself has a luxurious red velvet binding and red leather slip case, this would have been added later, probably in the 1800s. The early history of the Book of Hours (now given manuscript number 2087) is not known. We know that it at one time belonged to a Henry White and was sold at Sotheby’s with other books from his collection in 1902. Eales clearly took great pleasure in studying this magnificent item. Her notes (some written inside the cover) reveal how she went to great lengths to identify the wild flowers in the border decoration and to identify and list all the Saint’s depicted in the illustrations. Joyce E. Rigby describing Eales in an obituary written in 1990. Sophie Cole (Professor Cole’s sister) wrote many early Mills & Boon titles. Several contain her inscriptions, this is an example of a book gifted to Nellie. As soon as I started research to discover more about Eales, it became clear how closely her work and that of Cole were tied together. Both Cole and Eales published scientific works and wrote about Cole’s work, his collections and his career. But Eales never seems to have written a great deal about herself. The main sources of information about Eales I found were documents in the accession file for Cole’s archive, an obituary of Eales by Joyce E. Rigby in the Journal of Molluscan Studies in 1990, Holt’s The University of Reading: the first fifty years (1977) and A gift and its donor, written by one of the University’s first archivists (J. A. Edwards) in 1984. The more I find out about Eales, the more intrigued I am by her. Surviving records give the impression she was inspired by Cole and contributed greatly to his work. I struggled with how to begin this post – I couldn’t find a way to begin with Eales without placing her in the context of Cole. Yet Eales was clearly strong, respected, intelligent and prominent not only in University life but in the wider research community. It seems likely she was among the first women to study for a Ph.D. at Reading. She kept the Zoology department going during WWI and was active in its formative years. It is clear that her dedication to the University and her work was steadfast throughout her long life. Please contact the Reading Room to book an appointment to view items from the University Archives, the Cole Library or the Cole Archive (MS 5315). We also have a small collection of Eales’ notes and papers (MS 5314). The Cole Library of Zoology and Early Medicine, University of Reading. (1960). Nature, 188, 4757, (1148-1151). Eales, N. B. (1969-75). The Cole Library of Early Medicine and Zoology: catalogue of books, monographs and principal papers. Edwards, J. A. (1984). 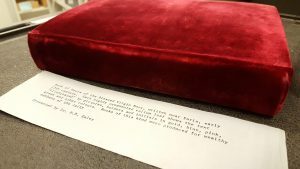 A gift and its donor: some account of MS 2087, presented to the Library by Dr Nellie B. Eales, formerly Senior Lecturer in Zoology in the University. Holt, J. C. (1977). The University of Reading: the first fifty years. Rigby, J. E. (1990). Obituary: Nellie B. Eales. Journal of Molluscan Studies, 56, 4, (601).